Has your credit score taken a hit? Have you been denied traditional financing? Or maybe you don’t have any credit history, good or bad? Don’t worry, you’re not alone! Getting financing can be difficult. Snap is here to help! Snap doesn’t offer traditional loans. Instead, we offer a consumer lease that allows you to finance your purchase over 12 months of convenient payments. We also offer a 100-Day Cash Payoff, the best terms around. Need new tires for your car? Or new furniture for your growing family? Don’t let bad credit stand in your way. Snap is your partner for No Credit Needed financing! Get instant ACCESS to your financing upon approval. Shop away! 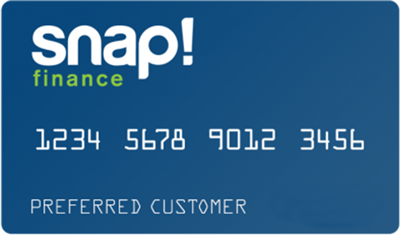 Enjoy the flexibility that only the Snap Finance card can offer. Our online application is simple and quick to complete and you’ll know in seconds if you’re approved. It couldn’t be easier to get the things you need! So if you’re looking to finance furniture, mattresses, wheels, tires, and more…use Snap! We’re the fast, flexible, and friendly choice. You can save money when you pay off your lease using our 90 day payment option. 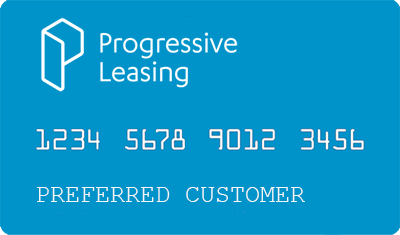 With Progressive Leasing, there’s NO CREDIT NEEDED to APPLY for our lease purchase option. Get started with a small initial payment. Our flexible weekly, bi-weekly, or monthly payment options make it simple to use. Discover how much you are approved for and get the merchandise you need today.